The situation in Myanmar is alarmingly deteriorating. 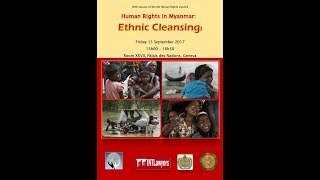 Myanmar government is repeatedly condemned for grave breaches of international human rights law and international humanitarian law. However, mass atrocities against Rohingya Muslim minority in Rakhine State continue to these days and seriously worsened within the last month. The government fails to ensure the halt of violence and protection from abuse against ethnic minorities, particularly Rohingya religious minority.